Our school is using ClassDojo to keep in touch with parents. Your child’s teacher will send you an invitation to connect to the class. You will then be able to contact the class teacher and get information on Class story about some class activities. Information relevant to the whole school will be posted on School Story. This includes timetables for GAA coaching, the school calendar etc. For more information on ClassDojo or to download the app, please visit www.classdojo.com. If you have a concern and wish to speak to the class teacher about it, you can arrange a meeting to talk it through. The simplest way is to send a ClassDojo message to the teacher to request a meeting with perhaps a short note to mention what it is about. The teacher can then arrange a mutually convenient time to discuss your concerns with you. Parent / teacher meetings are usually held in November. The parents / guardian of each child will be given a 10 minute time slot. This is to update the parents / guardians on the progress of the child. Any serious concerns should be addressed separately in a lengthier meeting. 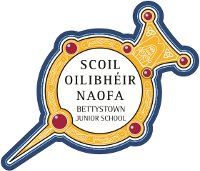 Each year incoming junior infants are given an opportunity to visit their junior infant classroom in June and meet their assigned class teacher, while parents attend a meeting in the school hall. In September, there is an additional meeting for parents of Junior Infant pupils, where details are provided on how parents can best help their child in school.